Do you remember the first animated short film you’ve ever seen? I do. Mine was Geri’s Game, an animated short film made by Pixar in 1997, written and directed by Jan Pinkava. It was the first Pixar short created after the 1989 Knick Knack. The film won an Academy Award for Best Animated Short Film in 1998. After that one I’ve seen lots of animated short films but that one was always on my top 5. Maybe because it was my very first one. Or maybe just because it’s good. Period. Do you remember your first animated short film? When I sat down to watch Up I was certainly not expecting to cry. Come on, it’s an animated movie. Animated movies are for children, therefore they have to be fun and pretty. Right? Now thinking back I can see how naïve it was to think animated movies don’t have their moments to make you cry. Bambi’s mom? Simba’s dad? The ending of Toy Story 3? Okay, more often than not they do try to make you cry. 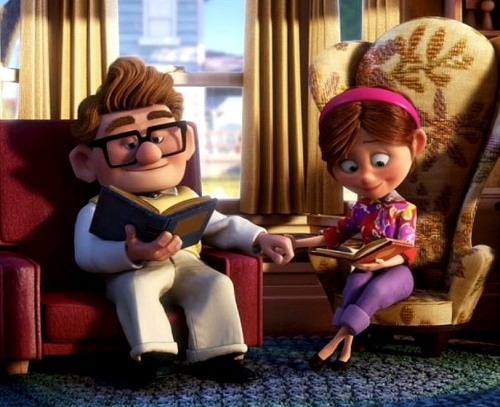 But then the movie started and the story of Carl and Ellie was just so sweet. How can anyone not be touched by their story? It’s life with its ups and downs, and it’s beautiful. All the way to the very end. Life is an adventure. We dream, we make plans, and then we change them over and over again. The best thing is not to make a list of things to do, but to recognize on the things that did happen which were the moments that add to the great adventure that is our own life. 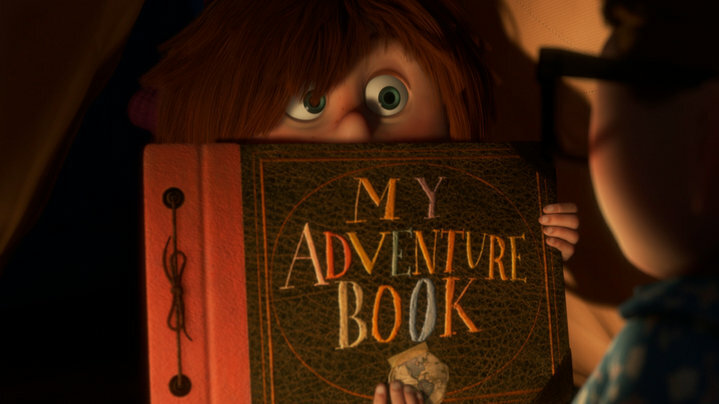 So, what are the moments that make up your adventure book? Joey: You didn’t cry when Bambi’s mother died? Chandler: Yes, it was very sad when the guy stopped drawing the deer!